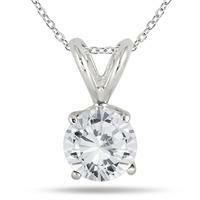 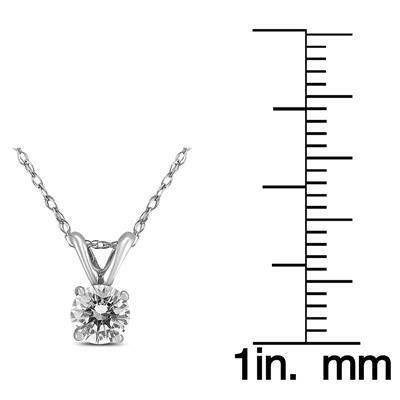 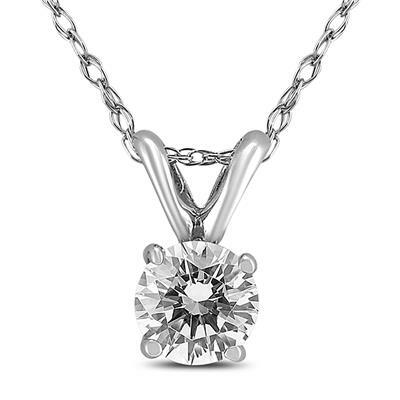 A beautiful round solitaire diamond pendant set in a 14k white gold basket setting with an 18 inch rope chain also crafted in 14K white gold. 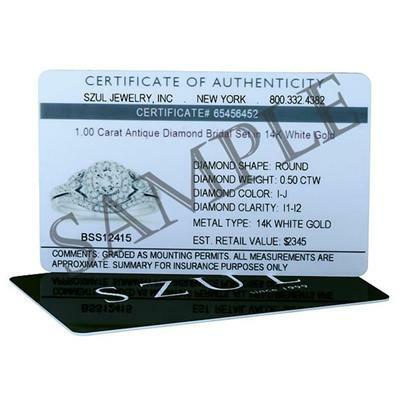 The premium signature quality VS clarity center diamond is hand picked and set and features a stunning, sparkling, high quality stone with no visible inclusions and a top of the line cut. 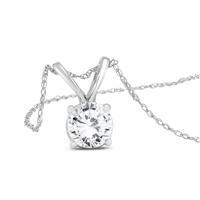 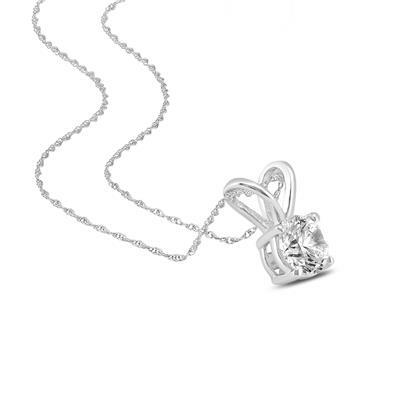 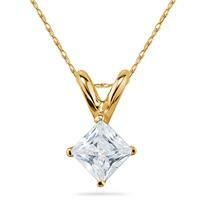 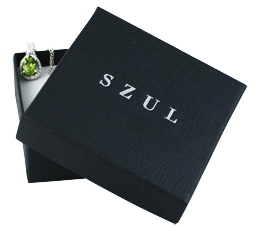 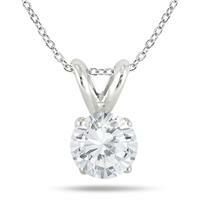 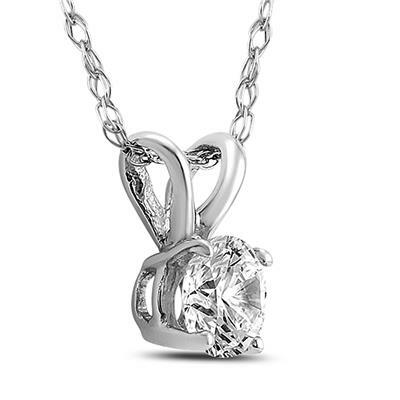 A beautiful pendant perfect for everyday wear.